Proved to be one of the most physically gifted receivers in the nation in his final season…led the ACC with 15 receiving touchdowns and ranked tied for third in the nation…averaged a touchdown every 3.6 catches – second-best mark in the country among wide receivers…scored the game winning touchdown in the VIZIO BCS National Championship on a 2-yard grab with 13 seconds remaining in the game…finished with four receptions for 54 yards versus Auburn at the Rose Bowl in Pasadena, Calif…had one of nation’s most impressive receiving performances at Florida, dominating the Gators’ secondary and setting a new career mark in almost every statistical category by finishing with nine catches for 212 yards and three touchdowns…his 212-yard performance was the best by a receiver in the ACC and the eighth-best total in Seminole history…added five receptions for 119 yards and two touchdowns against Duke in the ACC Championship Game…also had three catches for 61 yards and two touchdowns versus Idaho…in his last four games, Benjamin had 21 receptions for 446 yards (21.2 ypc) and eight touchdowns…tied the FSU single-season touchdown catch record…one of two FSU receivers to reach 1,000 yards receiving…had six catches for 66 yards and one score versus Syracuse…Made his first career start at Pitt in the season opener and started every successive game in 2013…Grabbed his first touchdown on the season against Bethune-Cookman…posted his first career 100-yard game at Boston College with three grabs for 103 yards…caught five balls for two touchdowns against Maryland…selected First Team All-America by SI.com…selected to the All-ACC Second Team by the coaches and All-ACC Third Team by media. Redshirt freshman receiver who was one of seven FSU receivers with 20 or more catches…ranked fourth on the team with 30 receptions for 495 yards…his four touchdown receptions were second among `Noles to Rashad Greene’s six…posted single-season best marks of five receptions (Boston College) and 77 yards (Duke)…his first two career TD receptions – covering 9 and 19 yards – came against Savannah State in a 55-0 victory…longest catch came on a 64-yard pass from quarterback EJ Manuel against No. 10 Clemson…also registered TD receptions against Boston College (6 yards) and Duke (35). 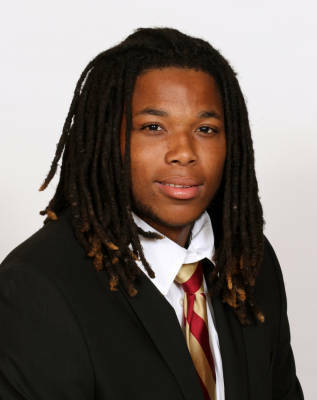 Played only three years of football at perennial power Glades Central, a perennial power…four-star recruit who was rated the No. 8 wide receiver and the No. 60 overall player nationally by Rivals.com and the No. 12 receiver by Scout.com…rated the No. 23 wide receiver nationally by ESPN…ranked as the No. 13 wide receiver and the No. 89 player nationally according to 247Sports…hauled in 30 catches for 551 yards and six touchdowns in just eight games as a senior…No. 2 on the Sun Sentinel’s Top 32 Broward County Seniors…named First Team All-Palm Beach County by Sun Sentinel…No. 25 on Bill Buchalter’s Florida Top 100 for the Orlando Sentinel…No. 36 on Mobile Press-Register Super Southeast 120…member of the Times-Union’s Florida Super 75 where he was rated as the No. 1 wide receiver…Palm Beach Post All-Area First Team…No. 72 on Tom Lemming’s MaxPreps.com Top 100…No. 42 on the SuperPrep Florida 110…born Feb. 5, 1991.